He was kidnapped by an Italian terrorist group “Red Brigade” (“Brigate Rosse”). It was a Marxist-Leninist group that, among other things, fought for Italy’s withdrawal from the NATO. 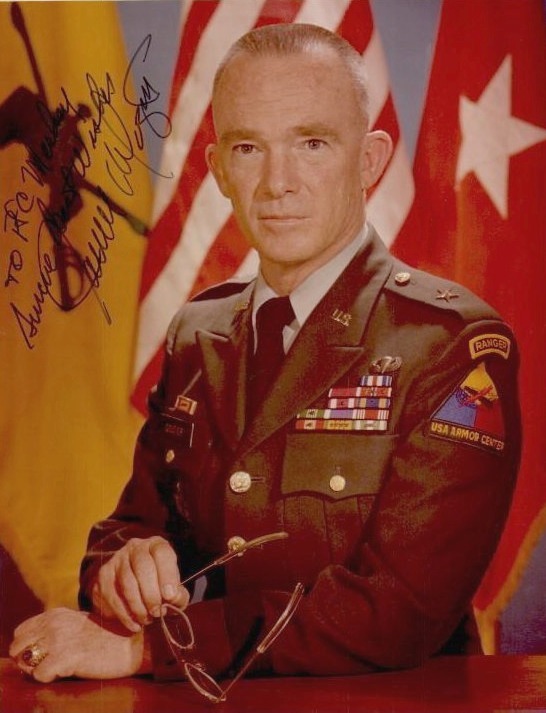 On this day in 1981 in the Italian city of Verona, U.S. General James Lee Dozier was abducted. He was kidnapped by the Italian terrorist group “Red Brigade” (“Brigate Rosse”). It was a Marxist-Leninist group that, among other things, fought for Italy’s withdrawal from NATO. Somewhat earlier, they also abducted and murdered an Italian Prime Minister Aldo Moro, and this was one of the most famous incidents in Italian post-war history. Kidnapped U.S. General James Lee Dozier held the rank of Brigadier General in the U.S. Army. This is the lowest rank of American general, and their bearers wear a single silver star on their shoulder straps (epaulets). It is interesting that, by this kidnapping, James Lee Dozier became the only general in American history who was ever kidnapped. Members of “Red Brigade” managed to kidnap the general from the apartment where he lived with the help of four agents disguised as plumbers. He was kept in captivity for as long as 42 days. There are claims that President Reagan contacted Texas billionaire Ross Perot, to use his private forces to rescue Dozier. However, the Italian special police eventually found and freed the general, who was being detained in an apartment in Padua. During the police action, all the terrorists were arrested without firing a single shot.